"Computer system" redirects here. For other uses, see Computer (disambiguation) and Computer system (disambiguation). A computer is a device that can be instructed to carry out an arbitrary set of arithmetic or logical operations automatically. The ability of computers to follow a sequence of operations, called a program, make computers very flexible and useful. Such computers are used as control systems for a very wide variety of industrial and consumer devices. This includes simple special purpose devices like microwave ovens and remote controls, factory devices such as industrial robots and computer assisted design, but also in general purpose devices like personal computers and mobile devices such as smartphones. 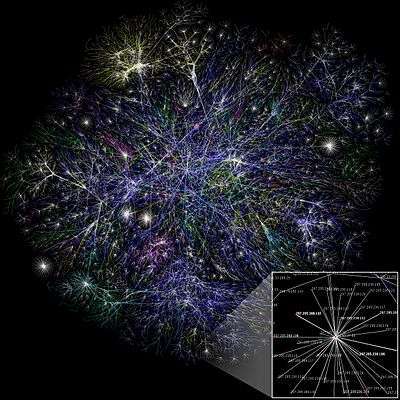 The Internet is run on computers and it connects millions of other computers. According to the Oxford English Dictionary, the first known use of the word "computer" was in 1613 in a book called The Yong Mans Gleanings by English writer Richard Braithwait: "I haue [sic] read the truest computer of Times, and the best Arithmetician that euer [sic] breathed, and he reduceth thy dayes into a short number." This usage of the term referred to a person who carried out calculations or computations. The word continued with the same meaning until the middle of the 20th century. From the end of the 19th century the word began to take on its more familiar meaning, a machine that carries out computations. The Online Etymology Dictionary gives the first attested use of "computer" in the "1640s, [meaning] "one who calculates,"; this is an "... agent noun from compute (v.)". The Online Etymology Dictionary states that the use of the term to mean "calculating machine" (of any type) is from 1897." The Online Etymology Dictionary indicates that the "modern use" of the term, to mean "programmable digital electronic computer" dates from "... 1945 under this name; [in a] theoretical [sense] from 1937, as Turing machine". 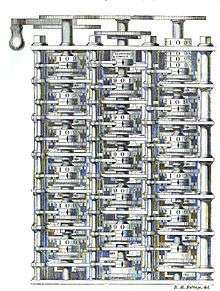 The Antikythera mechanism is believed to be the earliest mechanical analog "computer", according to Derek J. de Solla Price. It was designed to calculate astronomical positions. It was discovered in 1901 in the Antikythera wreck off the Greek island of Antikythera, between Kythera and Crete, and has been dated to circa 100 BC. Devices of a level of complexity comparable to that of the Antikythera mechanism would not reappear until a thousand years later. Many mechanical aids to calculation and measurement were constructed for astronomical and navigation use. The planisphere was a star chart invented by Abū Rayhān al-Bīrūnī in the early 11th century. The astrolabe was invented in the Hellenistic world in either the 1st or 2nd centuries BC and is often attributed to Hipparchus. A combination of the planisphere and dioptra, the astrolabe was effectively an analog computer capable of working out several different kinds of problems in spherical astronomy. An astrolabe incorporating a mechanical calendar computer and gear-wheels was invented by Abi Bakr of Isfahan, Persia in 1235. Abū Rayhān al-Bīrūnī invented the first mechanical geared lunisolar calendar astrolabe, an early fixed-wired knowledge processing machine with a gear train and gear-wheels, circa 1000 AD. The slide rule was invented around 1620–1630, shortly after the publication of the concept of the logarithm. It is a hand-operated analog computer for doing multiplication and division. As slide rule development progressed, added scales provided reciprocals, squares and square roots, cubes and cube roots, as well as transcendental functions such as logarithms and exponentials, circular and hyperbolic trigonometry and other functions. Aviation is one of the few fields where slide rules are still in widespread use, particularly for solving time–distance problems in light aircraft. To save space and for ease of reading, these are typically circular devices rather than the classic linear slide rule shape. A popular example is the E6B. In the 1770s Pierre Jaquet-Droz, a Swiss watchmaker, built a mechanical doll (automata) that could write holding a quill pen. By switching the number and order of its internal wheels different letters, and hence different messages, could be produced. In effect, it could be mechanically "programmed" to read instructions. Along with two other complex machines, the doll is at the Musée d'Art et d'Histoire of Neuchâtel, Switzerland, and still operates. The differential analyser, a mechanical analog computer designed to solve differential equations by integration, used wheel-and-disc mechanisms to perform the integration. In 1876 Lord Kelvin had already discussed the possible construction of such calculators, but he had been stymied by the limited output torque of the ball-and-disk integrators. In a differential analyzer, the output of one integrator drove the input of the next integrator, or a graphing output. The torque amplifier was the advance that allowed these machines to work. Starting in the 1920s, Vannevar Bush and others developed mechanical differential analyzers. The machine was about a century ahead of its time. All the parts for his machine had to be made by hand — this was a major problem for a device with thousands of parts. Eventually, the project was dissolved with the decision of the British Government to cease funding. Babbage's failure to complete the analytical engine can be chiefly attributed to difficulties not only of politics and financing, but also to his desire to develop an increasingly sophisticated computer and to move ahead faster than anyone else could follow. 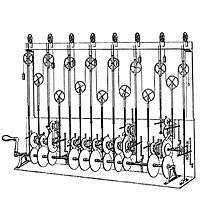 Nevertheless, his son, Henry Babbage, completed a simplified version of the analytical engine's computing unit (the mill) in 1888. He gave a successful demonstration of its use in computing tables in 1906. The art of mechanical analog computing reached its zenith with the differential analyzer, built by H. L. Hazen and Vannevar Bush at MIT starting in 1927. This built on the mechanical integrators of James Thomson and the torque amplifiers invented by H. W. Nieman. A dozen of these devices were built before their obsolescence became obvious. 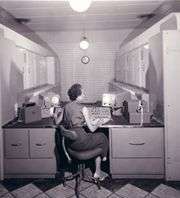 By the 1950s the success of digital electronic computers had spelled the end for most analog computing machines, but analog computers remained in use during the 1950s in some specialized applications such as education (control systems) and aircraft (slide rule). By 1938 the United States Navy had developed an electromechanical analog computer small enough to use aboard a submarine. This was the Torpedo Data Computer, which used trigonometry to solve the problem of firing a torpedo at a moving target. During World War II similar devices were developed in other countries as well. 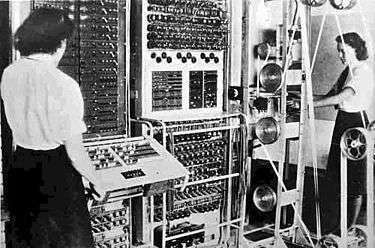 ENIAC was the first Turing-complete device, and performed ballistics trajectory calculations for the United States Army. The U.S.-built ENIAC (Electronic Numerical Integrator and Computer) was the first electronic programmable computer built in the US. 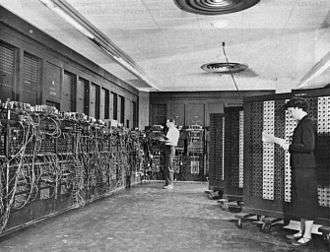 Although the ENIAC was similar to the Colossus it was much faster and more flexible. Like the Colossus, a "program" on the ENIAC was defined by the states of its patch cables and switches, a far cry from the stored program electronic machines that came later. Once a program was written, it had to be mechanically set into the machine with manual resetting of plugs and switches. Early computing machines had fixed programs. 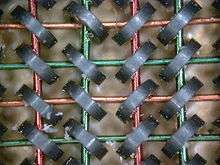 Changing its function required the re-wiring and re-structuring of the machine. With the proposal of the stored-program computer this changed. A stored-program computer includes by design an instruction set and can store in memory a set of instructions (a program) that details the computation. The theoretical basis for the stored-program computer was laid by Alan Turing in his 1936 paper. In 1945 Turing joined the National Physical Laboratory and began work on developing an electronic stored-program digital computer. His 1945 report "Proposed Electronic Calculator" was the first specification for such a device. John von Neumann at the University of Pennsylvania also circulated his First Draft of a Report on the EDVAC in 1945. 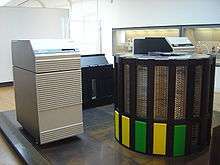 The Manchester Small-Scale Experimental Machine, nicknamed Baby, was the world's first stored-program computer. It was built at the Victoria University of Manchester by Frederic C. Williams, Tom Kilburn and Geoff Tootill, and ran its first program on 21 June 1948. 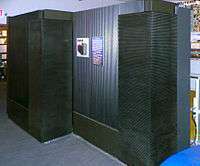 It was designed as a testbed for the Williams tube, the first random-access digital storage device. Although the computer was considered "small and primitive" by the standards of its time, it was the first working machine to contain all of the elements essential to a modern electronic computer. As soon as the SSEM had demonstrated the feasibility of its design, a project was initiated at the university to develop it into a more usable computer, the Manchester Mark 1. With the continued miniaturization of computing resources, and advancements in portable battery life, portable computers grew in popularity in the 2000s. The same developments that spurred the growth of laptop computers and other portable computers allowed manufacturers to integrate computing resources into cellular phones. These so-called smartphones and tablets run on a variety of operating systems and have become the dominant computing device on the market, with manufacturers reporting having shipped an estimated 237 million devices in 2Q 2013. Though considerably easier than in machine language, writing long programs in assembly language is often difficult and is also error prone. Therefore, most practical programs are written in more abstract high-level programming languages that are able to express the needs of the programmer more conveniently (and thereby help reduce programmer error). High level languages are usually "compiled" into machine language (or sometimes into assembly language and then into machine language) using another computer program called a compiler. High level languages are less related to the workings of the target computer than assembly language, and more related to the language and structure of the problem(s) to be solved by the final program. It is therefore often possible to use different compilers to translate the same high level language program into the machine language of many different types of computer. This is part of the means by which software like video games may be made available for different computer architectures such as personal computers and various video game consoles. These 4G languages are less procedural than 3G languages. The benefit of 4GL is that they provide ways to obtain information without requiring the direct help of a programmer. An example of a 4GL is SQL. The ALU is capable of performing two classes of operations: arithmetic and logic. The set of arithmetic operations that a particular ALU supports may be limited to addition and subtraction, or might include multiplication, division, trigonometry functions such as sine, cosine, etc., and square roots. Some can only operate on whole numbers (integers) whilst others use floating point to represent real numbers, albeit with limited precision. However, any computer that is capable of performing just the simplest operations can be programmed to break down the more complex operations into simple steps that it can perform. Therefore, any computer can be programmed to perform any arithmetic operation—although it will take more time to do so if its ALU does not directly support the operation. An ALU may also compare numbers and return boolean truth values (true or false) depending on whether one is equal to, greater than or less than the other ("is 64 greater than 65?"). Logic operations involve Boolean logic: AND, OR, XOR, and NOT. These can be useful for creating complicated conditional statements and processing boolean logic. Women as computers in NACA High Speed Flight Station "Computer Room"
Historically, computers evolved from mechanical computers and eventually from vacuum tubes to transistors. However, conceptually computational systems as flexible as a personal computer can be built out of almost anything. For example, a computer can be made out of billiard balls (billiard ball computer); an often quoted example. 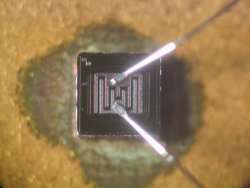 More realistically, modern computers are made out of transistors made of photolithographed semiconductors. A computer will solve problems in exactly the way it is programmed to, without regard to efficiency, alternative solutions, possible shortcuts, or possible errors in the code. Computer programs that learn and adapt are part of the emerging field of artificial intelligence and machine learning. Software refers to parts of the computer which do not have a material form, such as programs, data, protocols, etc. Software is that part of a computer system that consists of encoded information or computer instructions, in contrast to the physical hardware from which the system is built. Computer software includes computer programs, libraries and related non-executable data, such as online documentation or digital media. Computer hardware and software require each other and neither can be realistically used on its own. When software is stored in hardware that cannot easily be modified, such as with BIOS ROM in an IBM PC compatible) computer, it is sometimes called "firmware". Firmware is the technology which has the combination of both hardware and software such as BIOS chip inside a computer. This chip (hardware) is located on the motherboard and has the BIOS set up (software) stored in it. ↑ "computer (n.)". Online Etymology Dictionary. ↑ According to Schmandt-Besserat 1981, these clay containers contained tokens, the total of which were the count of objects being transferred. The containers thus served as something of a bill of lading or an accounts book. In order to avoid breaking open the containers, first, clay impressions of the tokens were placed on the outside of the containers, for the count; the shapes of the impressions were abstracted into stylized marks; finally, the abstract marks were systematically used as numerals; these numerals were finally formalized as numbers. Eventually (Schmandt-Besserat estimates it took 4000 years Archived 30 January 2012 at the Wayback Machine.) the marks on the outside of the containers were all that were needed to convey the count, and the clay containers evolved into clay tablets with marks for the count. Archived 30 January 2012 at the Wayback Machine. ↑ Robson, Eleanor (2008), Mathematics in Ancient Iraq, ISBN 978-0-691-09182-2 . p.5: calculi were in use in Iraq for primitive accounting systems as early as 3200–3000 BCE, with commodity-specific counting representation systems. Balanced accounting was in use by 3000–2350 BCE, and a sexagesimal number system was in use 2350–2000 BCE. ↑ The Antikythera Mechanism Research Project, The Antikythera Mechanism Research Project. Retrieved 1 July 2007. ↑ G. Wiet, V. Elisseeff, P. Wolff, J. Naudu (1975). History of Mankind, Vol 3: The Great medieval Civilisations, p. 649. George Allen & Unwin Ltd, UNESCO. ↑ Fuat Sezgin "Catalogue of the Exhibition of the Institute for the History of Arabic-Islamic Science (at the Johann Wolfgang Goethe University", Frankfurt, Germany) Frankfurt Book Fair 2004, p.35 & 38. ↑ Bedini, Silvio A.; Maddison, Francis R. (1966). "Mechanical Universe: The Astrarium of Giovanni de' Dondi". Transactions of the American Philosophical Society. 56 (5): 1–69. doi:10.2307/1006002. JSTOR 1006002. ↑ Price, Derek de S. (1984). "A History of Calculating Machines". IEEE Micro. 4 (1): 22–52. doi:10.1109/MM.1984.291305. ↑ Őren, Tuncer (2001). "Advances in Computer and Information Sciences: From Abacus to Holonic Agents" (PDF). Turk J Elec Engin. 9 (1): 63–70. ↑ Donald Routledge Hill (1985). "Al-Biruni's mechanical calendar", Annals of Science 42, p. 139–163. ↑ "The Writer Automaton, Switzerland". chonday.com. 11 July 2013. ↑ "Babbage". Online stuff. Science Museum. 2007-01-19. Retrieved 2012-08-01. ↑ "Let's build Babbage's ultimate mechanical computer". opinion. New Scientist. 23 December 2010. Retrieved 2012-08-01. 1 2 3 4 "The Modern History of Computing". Stanford Encyclopedia of Philosophy. ↑ Zuse, Horst. "Part 4: Konrad Zuse's Z1 and Z3 Computers". The Life and Work of Konrad Zuse. EPE Online. Archived from the original on 2008-06-01. Retrieved 2008-06-17. ↑ Salz Trautman, Peggy (April 20, 1994). "A Computer Pioneer Rediscovered, 50 Years On". The New York Times. ↑ Zuse, Konrad (1993). Der Computer. Mein Lebenswerk. (in German) (3rd ed.). Berlin: Springer-Verlag. p. 55. ISBN 978-3-540-56292-4. ↑ "Crash! The Story of IT: Zuse". Retrieved June 1, 2016. ↑ Rojas, R. (1998). "How to make Zuse's Z3 a universal computer". IEEE Annals of the History of Computing. 20 (3): 51–54. doi:10.1109/85.707574. ↑ Arthur W. Burks. The First Electronic Computer. ↑ "Colossus – The Rebuild Story". 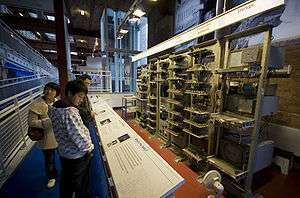 The National Museum of Computing. ↑ "Generations of Computer". techiwarehouse.com. ↑ Turing, A. M. (1937). "On Computable Numbers, with an Application to the Entscheidungsproblem". Proceedings of the London Mathematical Society. 2. 42 (1): 230–265. doi:10.1112/plms/s2-42.1.230. ↑ Lavington, Simon. "A brief history of British computers: the first 25 years (1948–1973).". British Computer Society. Retrieved 10 January 2010. ↑ Cooke-Yarborough, E.H. (1957). Introduction to Transistor Circuits. Edinburgh: Oliver and Boyd. p. 139. ↑ "The Hapless Tale of Geoffrey Dummer" Archived 11 May 2013 at the Wayback Machine., (n.d.), (HTML), Electronic Product News, accessed 8 July 2008. Archived 11 May 2013 at the Wayback Machine. ↑ Chartier, David (December 23, 2008). "Global notebook shipments finally overtake desktops". Ars Technica. ↑ IDC (25 July 2013). "Growth Accelerates in the Worldwide Mobile Phone and Smartphone Markets in the Second Quarter, According to IDC". Archived from the original on 26 June 2014. ↑ Even some later computers were commonly programmed directly in machine code. Some minicomputers like the DEC PDP-8 could be programmed directly from a panel of switches. However, this method was usually used only as part of the booting process. Most modern computers boot entirely automatically by reading a boot program from some non-volatile memory. ↑ However, there is sometimes some form of machine language compatibility between different computers. An x86-64 compatible microprocessor like the AMD Athlon 64 is able to run most of the same programs that an Intel Core 2 microprocessor can, as well as programs designed for earlier microprocessors like the Intel Pentiums and Intel 80486. 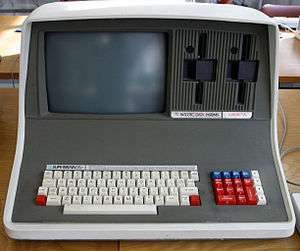 This contrasts with very early commercial computers, which were often one-of-a-kind and totally incompatible with other computers. ↑ High level languages are also often interpreted rather than compiled. Interpreted languages are translated into machine code on the fly, while running, by another program called an interpreter. ↑ It is not universally true that bugs are solely due to programmer oversight. Computer hardware may fail or may itself have a fundamental problem that produces unexpected results in certain situations. For instance, the Pentium FDIV bug caused some Intel microprocessors in the early 1990s to produce inaccurate results for certain floating point division operations. This was caused by a flaw in the microprocessor design and resulted in a partial recall of the affected devices. ↑ The control unit's role in interpreting instructions has varied somewhat in the past. Although the control unit is solely responsible for instruction interpretation in most modern computers, this is not always the case. Some computers have instructions that are partially interpreted by the control unit with further interpretation performed by another device. For example, EDVAC, one of the earliest stored-program computers, used a central control unit that only interpreted four instructions. All of the arithmetic-related instructions were passed on to its arithmetic unit and further decoded there. ↑ Instructions often occupy more than one memory address, therefore the program counter usually increases by the number of memory locations required to store one instruction. ↑ David J. Eck (2000). The Most Complex Machine: A Survey of Computers and Computing. A K Peters, Ltd. p. 54. ISBN 978-1-56881-128-4. ↑ Erricos John Kontoghiorghes (2006). Handbook of Parallel Computing and Statistics. CRC Press. p. 45. ISBN 978-0-8247-4067-2. ↑ Donald Eadie (1968). Introduction to the Basic Computer. Prentice-Hall. p. 12. ↑ Arpad Barna; Dan I. Porat (1976). Introduction to Microcomputers and the Microprocessors. Wiley. p. 85. ISBN 978-0-471-05051-3. ↑ Jerry Peek; Grace Todino; John Strang (2002). Learning the UNIX Operating System: A Concise Guide for the New User. O'Reilly. p. 130. ISBN 978-0-596-00261-9. ↑ Gillian M. Davis (2002). Noise Reduction in Speech Applications. CRC Press. p. 111. ISBN 978-0-8493-0949-6. ↑ "A Brief History of the Internet". Internet Society. Retrieved 20 September 2008. ↑ "Computer architecture: fundamentals and principles of computer design" by Joseph D. Dumas 2006. page 340. ↑ According to the Shorter Oxford English Dictionary (6th ed, 2007), the word computer dates back to the mid 17th century, when it referred to "A person who makes calculations; specifically a person employed for this in an observatory etc." ↑ "Definition of computer". Thefreedictionary.com. Retrieved 29 January 2012. ↑ Most major 64-bit instruction set architectures are extensions of earlier designs. All of the architectures listed in this table, except for Alpha, existed in 32-bit forms before their 64-bit incarnations were introduced. Doron D. Swade (February 1993). "Redeeming Charles Babbage's Mechanical Computer". Scientific American: 89. Zuse, Konrad (1993). The Computer - My life. Berlin: Pringler-Verlag. ISBN 0-387-56453-5. Randell, Brian (1982). "From Analytical Engine to Electronic Digital Computer: The Contributions of Ludgate, Torres, and Bush" (PDF). Retrieved 29 October 2013.